Asclepias quadrifolia (whorled milkweed). By Henry Domke. Published May 22, 2014. Prairie Garden Trust. PGT Nature Garden. pgtnaturegarden.org (Accessed 10/2017). Asclepias quadrifolia is a perennial herb to 50 cm tall, stems slender, mostly unbranched, sap milky, lower stem leafless, upper stem usually with 3 leaf-bearing nodes. 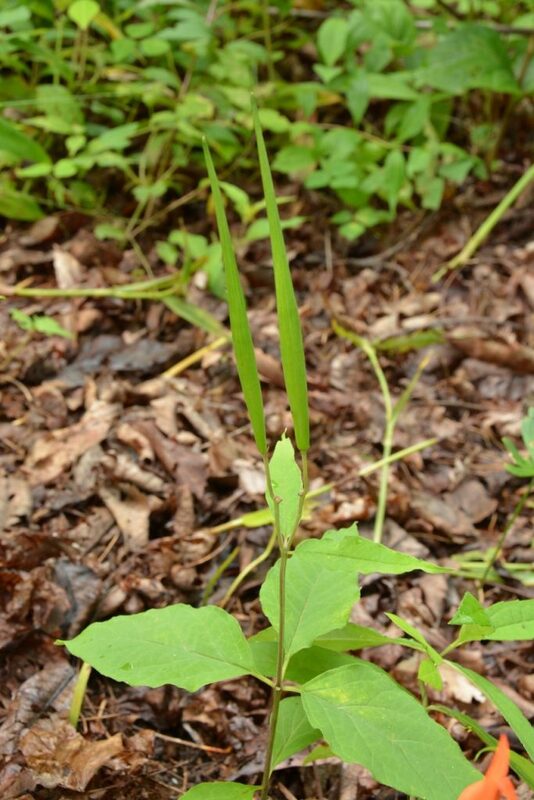 Leaves of upper and lower nodes opposite, small, middle node with a whorl of four, much larger leaves, blades thin, to 12 cm long, lance to egg-shaped, tip long-pointed, base wedge-shaped. 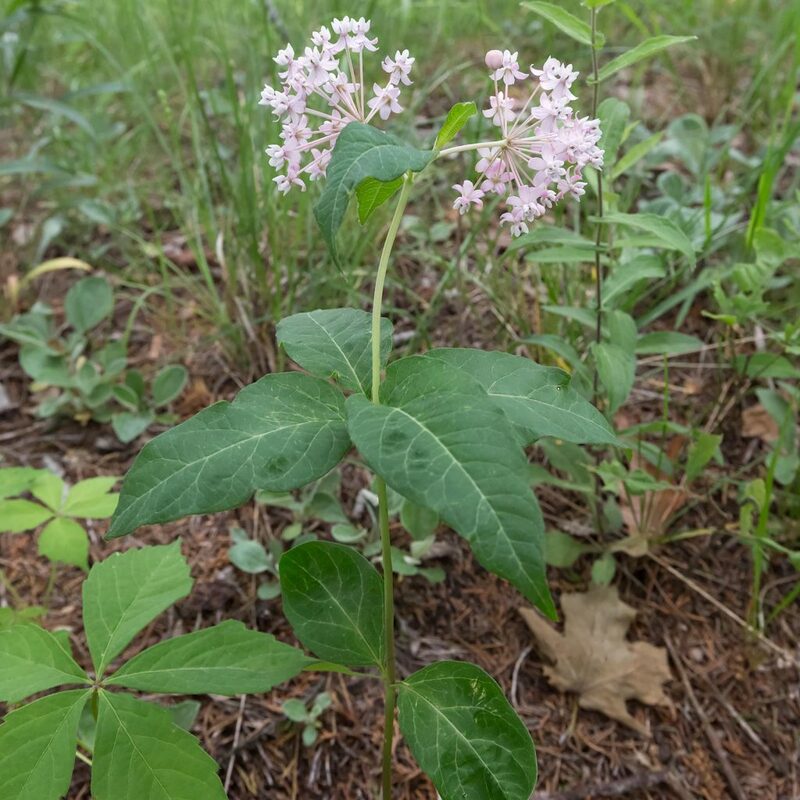 Flowers radially symmetrical, petal lobes pale pink to 0.6 cm, hoods white (see Asclepias Genus); inflorescence of umbrella-shaped clusters; June-July. Asclepias quadrifolia fruit. Martha Baskin. Nantahala National Forest Natives, NC. blog.jpeg (Accessed 10/2017). Fruit dry, a pod filled with plumed seeds, very slender, to 12 cm long tapered at both ends, held erect on unbent stalks.